We are in the field of manufacturing and supplying Carbon dioxide in both gaseous and liquid forms since 1988. We were one of the earliest to recover CO2 gas from distillery and one of the pioneers in making it odourless and suitable for carbonated beverages. Ours is a quality product of ISI standards, passing Grade- I. The gas is of high purity i.e. > 99.9 % and moisture less than 10 PPM. Our strength is supply of quality product on time, all the time. 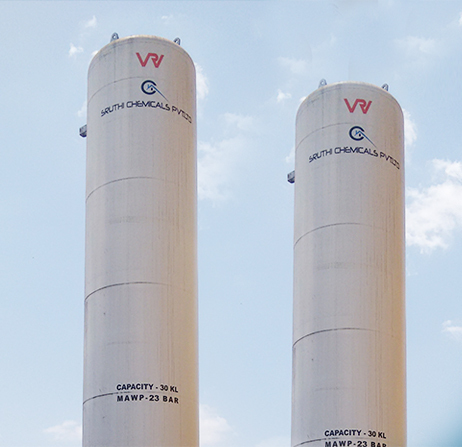 The supply can be made in cylinders or in mobile tankers. Based on the requirement, suitable tanks can be supplied to improve efficiency, reduce man power and wastage of gas.